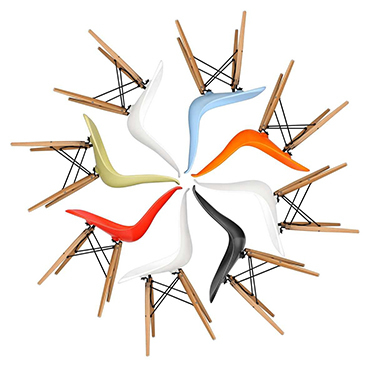 A reproduction of Hans J. Wegner's Flagline Chair. The Flag Halyard stays true to Wegner’s philosophy that a chair should look beautiful from any angle, as this chair manages to strike the balance of looking both functional and elegant, with the stainless steel frame and leather roping detail offering a sleek finish. The cushion adds comfort to the chair, making it perfect for relaxing. To soften the hard frame, why not try throwing our Icelandic Sheepskin Rug over it for as a cosy accompaniment. This chair does not come with the Icelandic sheepskin rug featured. The neck cushion is included. Inspired by a family trip to the beach, Wegner’s original Flag Halyard Chair was made in 1950 and became one of the most iconic and influential chairs of the twentieth century. Design tributes to early modernist designers like Mies van der Rohe can be seen in the chair, which was a departure from Wegner’s trademark wood. For the Flag Halyard he used stainless steel, showing his skill and mastery of materials, as well as his design versatility. Unlike his other designs that were usually inspired by historical objects, the Halyard Chair was a departure from this as it was inspired by Wegner’s everyday life.